Everyone loves a fresh, clean and spotless home! 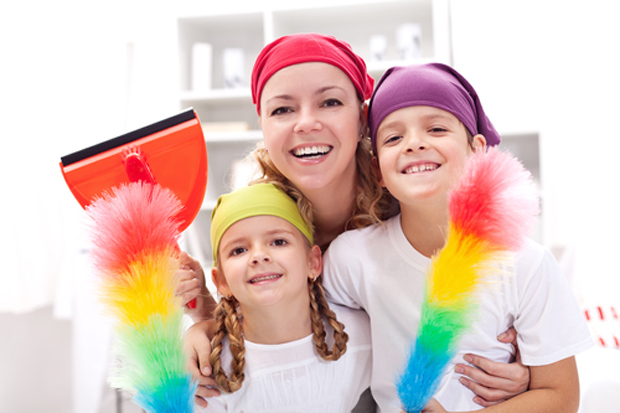 Not only does spring cleaning have benefits for your home, it can help improve your health too by reducing stress, protecting your family from germs and help avoid / prevent allergies and the end result makes you happy! Create a schedule & prioritise: Having a plan in place on when and where you start in your home is key. Everyone involved must be on the same page to ensure productivity and good organisation. Prioritise in order of which mess requires attention most. Do ONE room at a time: Many of us are guilty of starting something and not finishing. For a successful spring cleaning expedition, completing one room at a time is crucial and, at the end of the day, will allow you to have measurable progress and leave you with a rewarding feeling! Work Top to Bottom: Whether unpacking a cupboard or working on an entire room, start at the top and work your way down. Have good tools on hand: Make sure you have good cleaning products to help get the job done. An investment of latex gloves for this to protect your skin is a must! Donate where possible: When throwing items out, consider dividing the items into categories of items that can be donated. For example, children’s clothes that are now too small for your kids, place together in a bag and donate when done. There are always people in need, so please consider others when throwing items out. Do research online on where you can donate near you. Involve the kids: Allow your kids to help. Kids love packing things away and being a part of a process that Mom and / or Dad are working on, so involve them if you can. This will also teach them the importance of cleaning. Have a central “dumping” ground: For items you wish to donate or throw out, have one central place in the house where they get dumped. This will avoid a messy house later and ensure everything is in once place when you need it. Vacuum last: While this may sound logical, this may not be the way your head thinks when you get started. Remember, when unpacking cupboards and pulling things off shelves, dust and dirt will fall, so rather opt for vacuuming when you know you’ve completed everything else. Make vacuuming your final touch! Recycle: For items you can’t donate, consider if they are recyclable. If they are, keep aside or place in a box or bag that can be dropped off at a recycle plant or school (many schools offer recycling facilities these days). Enjoy the process: While it can be hard work and possibly not your favourite thing to, there are just too many pros not to!